Old Navy flip flops! You don't want to miss this. There seems to be Old Navy's on every corner now a days, so there is no excuse to pass this up. 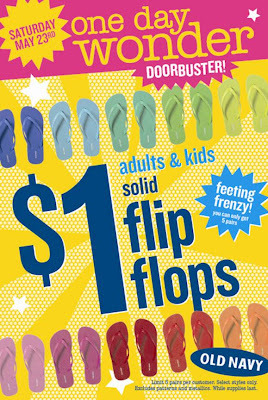 $1 flip flops on Saturday...I would suggest buying the max. Find the store nearest you.